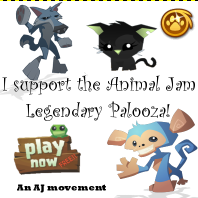 Animal Jam Legendary Palooza: Bees UPDATE! 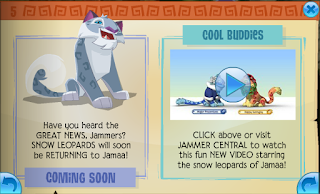 Today the jamaa journal came late again. Hopefully it will be early next time like it used to be! Since today is the update lets take a look at it! 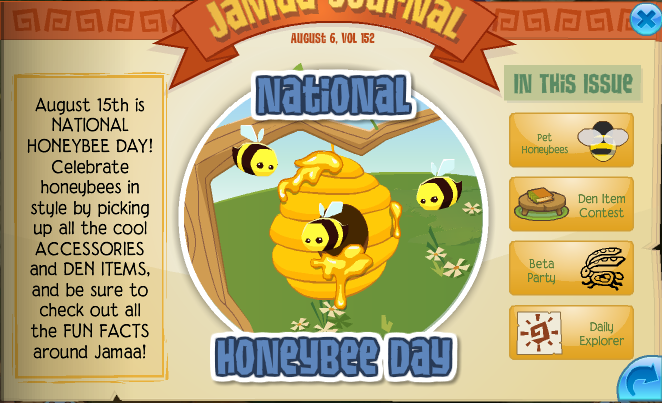 On the first page we have an announcement about national bee day! 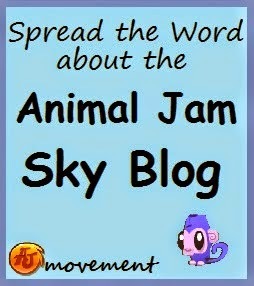 I think I like all these ideas! 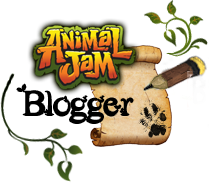 We have new pet honey bees for all jammers! 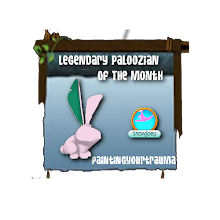 Yay nonmembers finally got a new pet! Hopefully this doesn't get taken away. 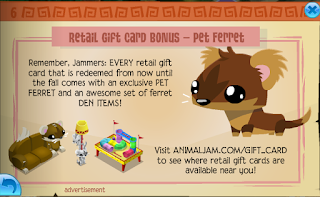 Since ajhq added a new nm pet do you think they will add or make a member pet nonmember? We have a new den item contest. I thought this would come I just had a feeling. 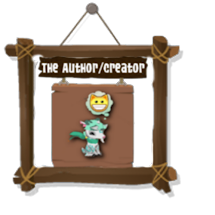 You can vote for glitchy gear, a steampunk parlour or a movie theatre. 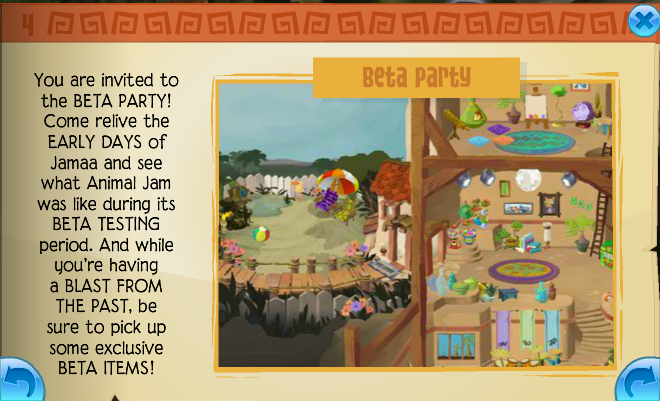 The beta party has returned yay! Its the same like last year no new changes. Snow leopards are coming back. It didn't seem like they left for that long to be honest. The video is funny the snow leopard did such an under trade. ITS SOOO CUTE I WANT IT!!! Then we have the wings. We have a beanbag chair. What looks like a dresser. I have to admit I like the clothing items and the den items a lot especially the bee beanbag chair. I was collecting all pets except now I'm not. 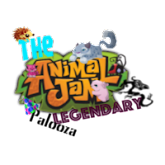 I have all the animals in jamaa for now. The eyes are messed because of the way it was when I took the picture. I have a party invitation for next weekend! Its a day after my bday but whatever. 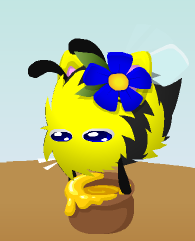 I forgot to mention don't forget to dress up bee like! 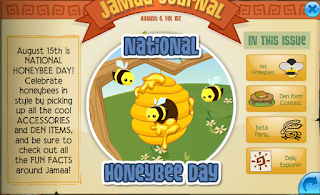 THE THEME WILL BE BEE THEMED! Awesome!! 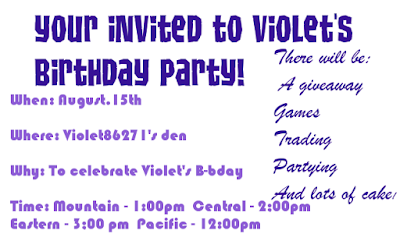 I will try my best to come to your party Violet! :D If I can't though, I will try to send you a gift at least! Happy early B'Day! Um that converter confuses me XD My timezone is eastern though. People actually talked about my party? I converted it and it said it would be 5:00 AM for you. I will like to come to your birthday party!